• Includes interesting case studies at the conclusion of each chapter that illustrate important concepts. 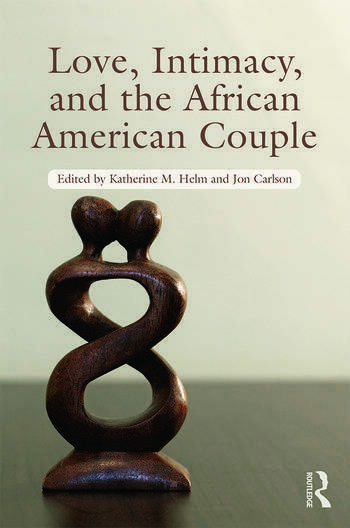 The chapters span the current state of couple relationships; readers will find information for working with lesbians and gays in relationships, pastoral counseling, and intercultural Black couples. There is also a chapter for non-Black therapists who work with Black clients. Dispersed throughout the book are interviews with prominent African American couples’ experts: Dr. Chalandra Bryant, relationship expert Audrey B. Chapman, Dr. Daryl Rowe and Dr. Sandra Lyons-Rowe, and Dr. Thomas Parham. They provide personal insight on issues such as the strengths African Americans bring to relationships, their skills and struggles, and gender and class considerations. This must-read book will significantly help you and your clients. Katherine M. Helm, PhD, is a Professor of Psychology and Director of Graduate Programs in Psychology at Lewis University, and is a practicing psychologist. Jon Carlson, PsyD, EdD, ABPP, is a Distinguished Professor of Psychology and Counseling at Governors State University, and a psychologist at the Wellness Clinic in Lake Geneva, Wisconsin.